We have received calls to let us know some of you are finding when you turn your tap on the water is discoloured or brown in colour. This has happened because of a disturbance to the pipes in your area. Our pipes have naturally occurring sediments and minerals at the bottom which can get disturbed every now and then. We know it doesn’t look nice but don’t worry, it’s unlikely to be harmful and will settle down again with time. You can help with this by letting your cold water tap run at a slight trickle until your water runs crystal clear again. In the meantime we have one of our inspectors keeping an eye on this to make sure it settles back down again soon. We’re sorry if this has affected you getting on with your everyday jobs. 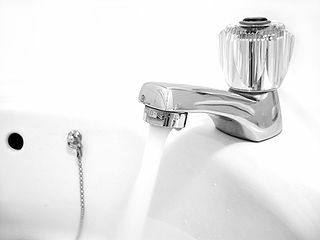 You can check out our Discoloured Water page for more information. Thank you for bearing with us.